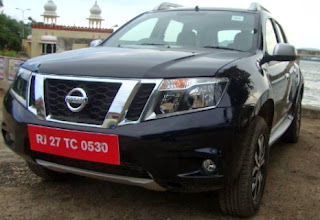 Carnation Auto Blog: Nissan Terrano Vs Renault Duster – Which Car Will You Buy? Nissan Terrano Vs Renault Duster – Which Car Will You Buy? Compact SUV Nissan Terrano flaunts stylish exteriors and spacious interiors. This all new vehicle looks like the Renault Duster however it’s priced slightly above the Duster. Renault Duster was one of the most popular cars in its segment before the launch of Ford Ecosport. The aggressively priced Ecosport made a great first impression. Ford Ecosport received 30,000 bookings within one month, which is a record breaking figure according to the Indian automotive market. According to auto history, French automaker Renault always came out it with its own version after Nissan car launches however in case of Terrano; it’s the other way round. Nissan Terrano is launched to attract those consumers, who weren’t so much delighted by Duster’s design. This mini SUV is a premium car, which received around 6,000 bookings within 2 days. All the major features available in Duster are also available in this car however the comfort factor is much higher than both Duster and Ecosport. Ford Ecosport is a great looking car from outside however the interiors aren't that gorgeous. The luxury aspect is missing in Ecosport hence Terrano scores high in this department. Duster looks masculine while Terrano looks more sophisticated with its fashionable Nissan SUV look. Terrano is more angular, which makes it look bigger and bolder than Duster. The doors are re-designed however there’s a hint of Duster’s side profile. Terrano has a refreshed centre console and a better audio system. The dark grey shade faux wood in the door trim exudes class. The ride quality of Duster is great but it produces rattling sounds, which is definitely not there in the Terrano. The Nissan mini SUV offers an excellent ride in the highways as well as in the roads less traveled without making any rattling noise. There’s less body roll in poor roads compared to Duster. The after sales network of Renault Duster is better as it has 122 dealerships and service centres in India compared to Nissan’s 96 dealerships and service centres. Duster is available in the price range of Rs.7.19 lakhs- Rs.10.99 Lakhs while Terrano starts with a price tag of Rs.9.58 Lakh and ends at Rs.12.47 Lakh. 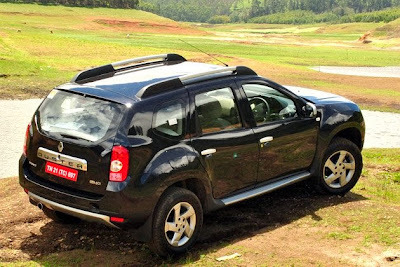 Verdict: Renault Duster is an affordable mini SUV with almost all advanced features however Nissan Terrano is classier and up market and will appeal customers who wanted some better design and luxury in Duster. Terrano is an upgraded version of Duster with better space, design and ride quality.